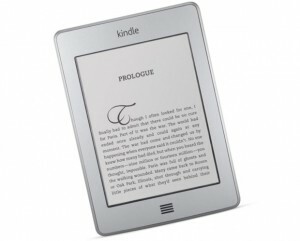 We bought our first Kindle (a Kindle Touch) for my oldest daughter for her birthday last year. We then got two others (the basic Kindle) for JoAnn and Sammy for school. We’ve had all kinds of issues with wireless on, now, all of them. The Touch was even replaced, and over a couple different times, spent about 5 hours with Amazon support, who seemingly were doing every possible and often random thing they could. The answer was always–despite all the time on with support, trying all kinds of things–that it must be our wireless. The internet is full of stories of others with wireless issues with Kindles. Anyway, got to the point where it wasn’t worth dealing with any longer…and we were talking this week, and my wife was discussing on a forum she’s a part of, and going through different scenarios of people having issues…and thought to myself…what if Amazon support was right? What if it *is* something with my network (and those of others’) and yet doesn’t cause issues with all the other devices connected? And the one difference is: encryption. What if the Kindles have some issue supporting encryption in some way? Considering many of stories from others were that they’d connect some places (like coffee shops) and not others (like home or office), and sometimes only sporadically connect at home/office, it made sense. But to test it…I wasn’t about to make my wireless unsecured, considering the work I do. But looked into it, and lo and behold, my business-class access point allows for multi-SSID, so I set up an unencrypted, non-broadcasting network. Then tested…the Kindles have not only connected, but downloaded immediately, and haven’t disconnected. So, if you are one of the many experiencing wireless issues with your Kindle, check to see if your wireless access point supports multi-SSID or Guest Wireless. Many these days do. If it does, set one up without encryption (Open) and do NOT broadcast the SSID (you don’t want others connecting to this). If you aren’t sure about yours, leave your model in the comments and I can look into it and refer you to instructions. At some point in the near future I’ll write up some basic, generic instructions on how to set up as well.